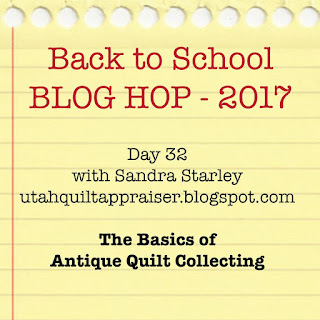 I'm a quilt appraiser, historian, and avid quilt collector and I'm excited to share my Top Tips for Collecting Antique Quilts as part of Sam Hunter's "Back to School BLOG HOP" (see links to the 31 prior participants at the end of my post). My most asked question is "where do you get your quilts" and the answer is usually from on-line sources, mainly eBay as well as Live Auctioneers and Invaluable that allow me to buy directly from regional and national auction houses. I also purchase from dealers at quilt shows and online. Antique and thrift shops are good sources too. And don't forget to let friends and family know you are interested in quilts- you might end up with great grandma's quilts that have been in a closet for years. When I polled my collector friends these were the most repeated collecting tips. It is so easy to be tempted by low prices and "good deals" but it is better to wait and get a great quilt rather than a cheap "okay" quilt. Don't buy based on price alone or what others think you should collect. Buy the quilts that make you smile, the quilts with heart like this 1850 Whig Rose crib quilt. With the Internet giving collectors such wide access to antique quilts, they can see and compare many examples and buy the most interesting examples. 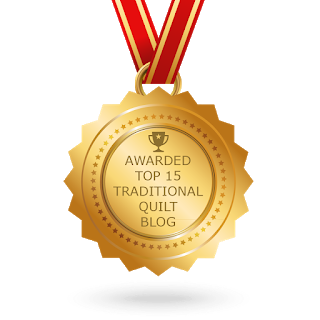 Folk art and whimsical quilts fit in this category. Collectors now want unique items and are looking at quilts as ART. Look for quilts with strong graphic appeal, great design, and that extra special 'it factor". Compare the star quilts below, the first will appeal to minimalist collectors but more people will gravitate to the second quilt that sparkles and pops with visual interest. Buy the best/highest quality quilts you can afford with the best workmanship and best condition. It will always be easier to re-sell a quilt that is in very good to excellent condition rather than one with condition issues/problems. These quilts hold their value more than quilts with "condition issues". Don't fall for the "good condition for its age" myth -you can find 200 year old quilts in very good condition and 10 year old quilts that are in tatters. 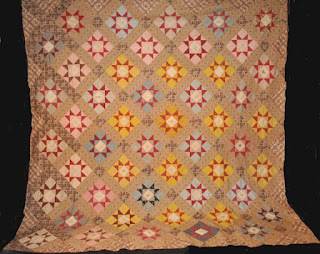 Of course all vintage and antique quilts represent a bit of history but some quilts actually are historical documents with strong historical significance. This documented history/background of quilt (where made, by whom made, when made, etc.) is known as provenance and can add value to a quilt. 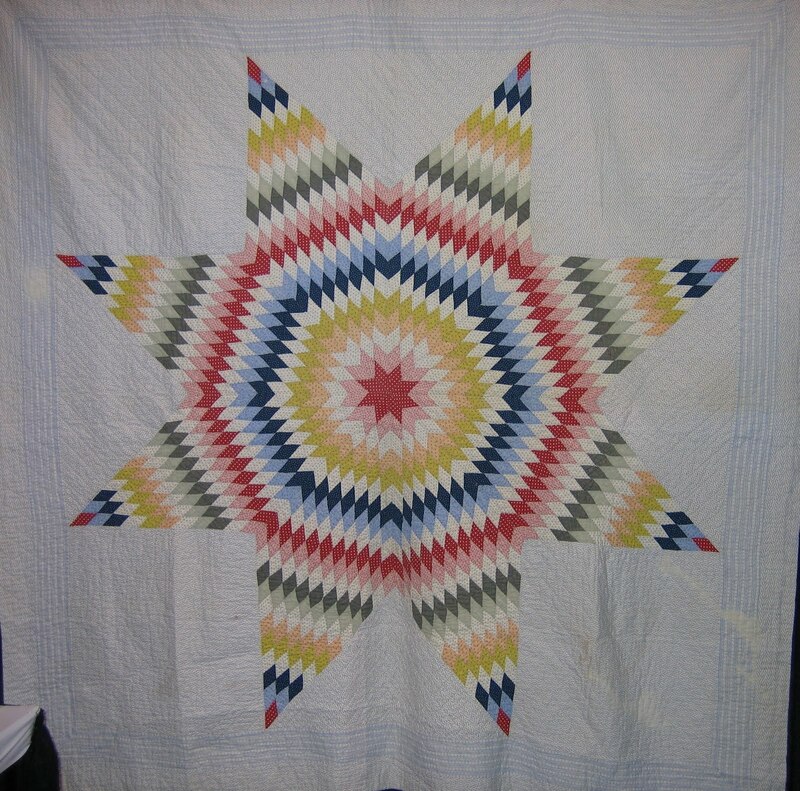 Some collectors only purchase quilts with a known maker because they want this tangible connection to the past. This is one of the reasons the market for antique signature quilts (with multiple names) continues to grow. These quilts often showcase a particular family, religion, culture, or moment in time. 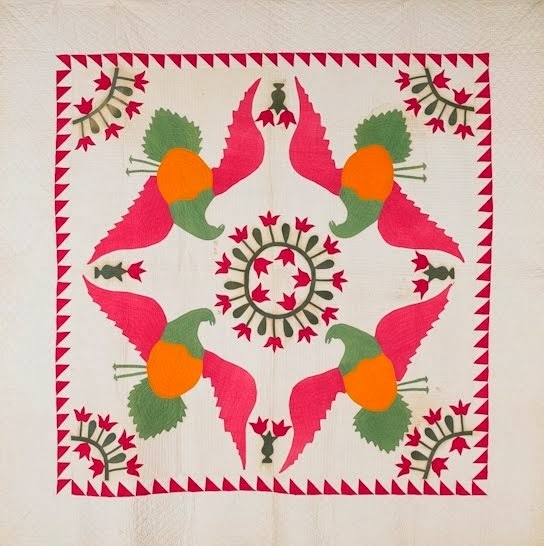 With all the online resources available today, it is not difficult to be an educated consumer and it can actually be quite fun to learn history through quilts. What could be better than looking at beautiful quilts and learning their stories online and in person. I love to share my collection in antique quilt trunk shows and quilt study classes and I'm available to bring my treasures to you. 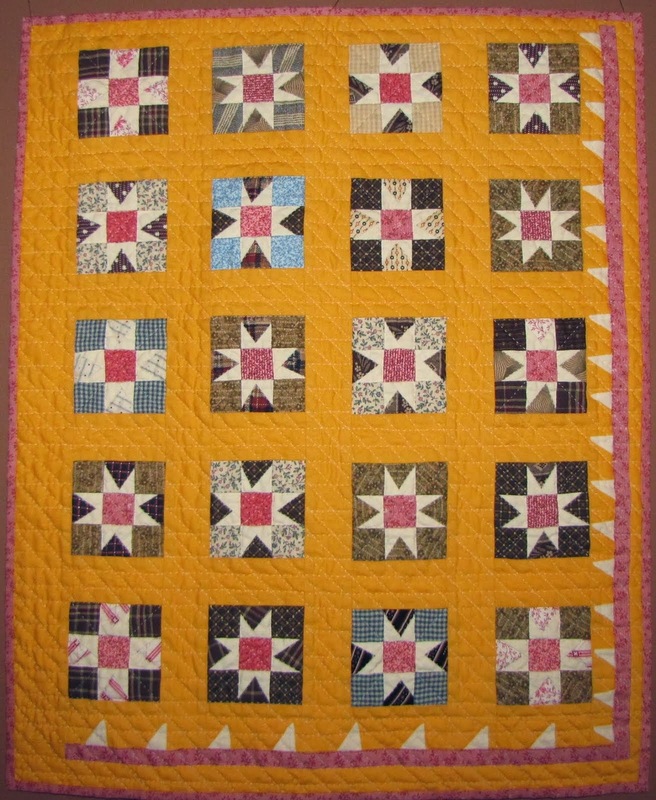 The American Quilter's Society quilt appraisal classes are a great way to learn about antique quilts and their value. The program's reading list is a comprehensive resource for your self study course in quilt dating and history. The American Quilt Study Group is the best quilt history group with wonderful networking and amazing education seminars. 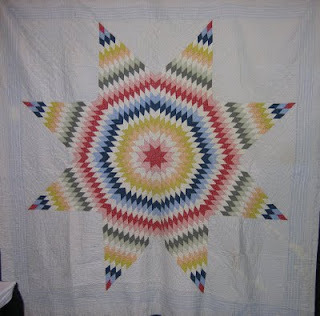 And there are several antique quilt Facebook groups that are like a daily master class in quilt history. Unfortunately, there are sellers who try to pass off mass produced Chinese imports as antiques and since so many imports were made (and are still being made) you really need to learn how to recognize them. And uneducated sellers may also unintentionally misrepresent their items and some people purposely mislead buyers. On the flip side, you can learn so much by following reputable knowledgeable dealers. Your interests will likely change over time and as you grow and mature as a collector. You will probably make some missteps along the way as you develop your collector's eye and see what is truly still out there to collect. It is sometime hard to believe how many amazing quilts there are that still have not been discovered. So release those earlier quilts to beginning collectors or to people who collect/specialize in them and use the $$ to upgrade your collection. Another important step is to keep track of your purchases and document when bought, from whom, purchase price, information given, along with photographs. Also leave space to add information that you learn through later research. It is so much easier if you get a folder and add this material as you go. This will be an invaluable tool if you want to do trunk shows or exhibits or want to sell quilts. 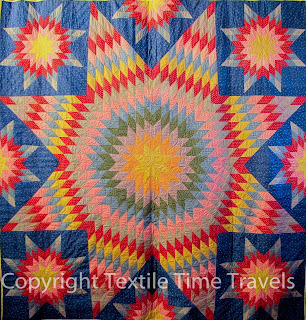 People love to learn the history of quilts and always want to know "who made that quilt" so be sure to keep track of as much of that information as you can. A quilt that seemed fairly generic to you 5 years ago may now stand out as a Penn. German quilt or a likely Southern Quilt based on your increased knowledge. Be sure to note that in your records. 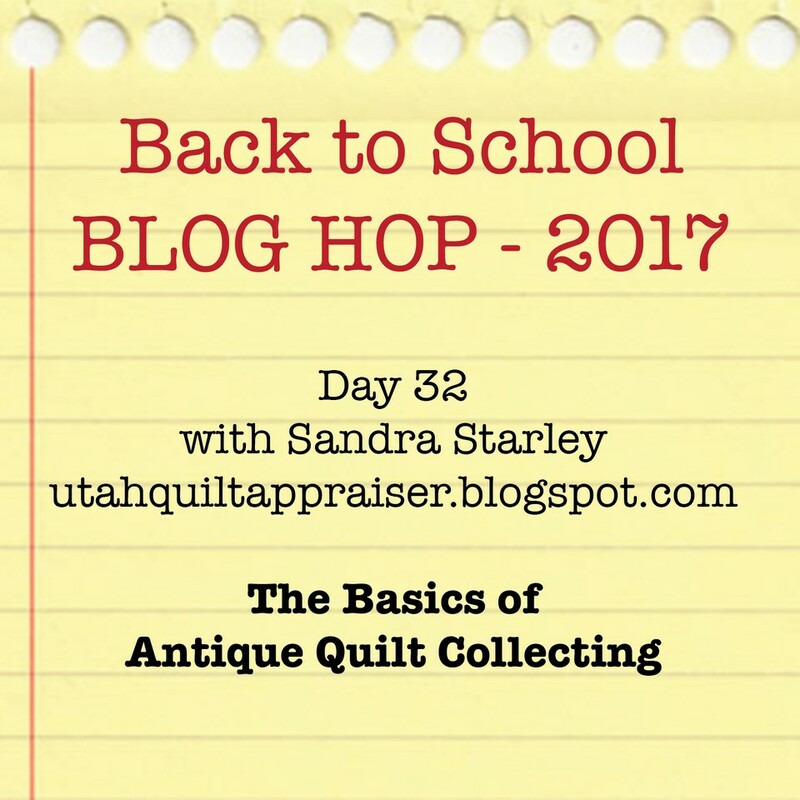 The Back to School Blog Hop for 2017 is now complete but luckily you can still hop back and check out all of these great posts from the past month. I think you will be amazed at all the inspiration, tips, and tricks you'll be able to add to your sewing toolbox.